Yes, it's true! I'm taking on another ridiculous exercise program. With my wedding and summer vacation in South Africa coming up soon, it was time for my jelly belly and me to jump on the fitness wagon again. (My performance in the gym has been less than stellar lately...) I was actually toying with the crazy idea of doing the INSANITY program again, but then I found this 25-minute-5-days-a-week wonder of a workout called Focus T25. 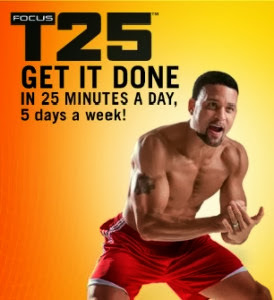 Focus T25 is the latest high-intensity fitness program created by Shaun T, the same person who brought us INSANITY. The program consists of two cycles; Alpha and Beta. (There is a third cycle called Gamma, but it's not mandatory). Each workout is ONLY 25 minutes (yes, that's right!) which is awesome if you have a busy lifestyle. Also, you only have to work out 5 days a week, instead of 6 days a week, like INSANITY. It promises amazing results (of course, only if you're willing to work out hard!) and I'm totally willing to give up 25 minutes of my precious day, you know, just in case I can get my body to look like those before and after ones on the promotional video. Where do I sign up, you ask?! Well, once again I've rounded up a couple of workout buddies (two of my co-workers) and we'll be starting the program on Monday, October 28th. You're welcome to join us in this challenge. Just like INSANITY, this workout can also be done in the comfort of your home; all you need are the Focus T25 DVDs, a TV or computer, a resistance band (but I think you can substitute this with some light free weights) and some space to move around. Of course, I'll be documenting my entire experience and update you guys weekly here on Pretty.Random.Things., just like I did while doing INSANITY. So what are you waiting for, get the Focus T25 program, download the schedules and dust off those trainers! For only 25 minutes a day, it's worth giving it a go, right? Have you done this exercise program yet? 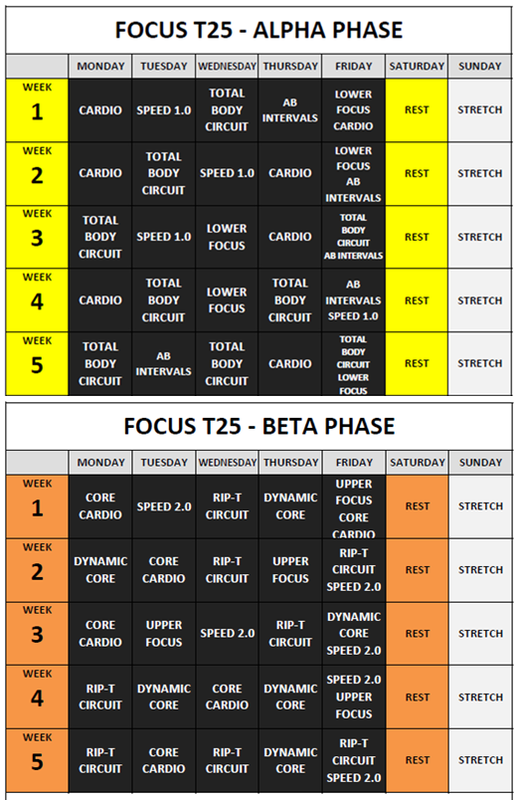 Will you be joining us in the Focus T25 challenge? I am on week 4 of T25.. it is AMAZING! !